Just as you wouldn’t casually pick a home environment to put down your roots, you shouldn’t assume that any soil will do for your zoysia grass seed lawn to put down its roots—literally. 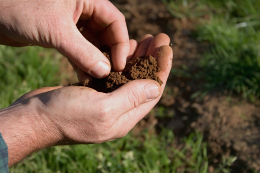 Soil affects nutrient availability, drainage ability, and water-holding capacity, all of which will affect the growth and health of your lawn. Zoysiagrass is a warm-season grass type that originated from Asia. It tolerates a variety of soils, can be grown in partial shade, is very traffic tolerant, and can handle overly saline soils. It does, however, have two seemingly contradictory disadvantages: it tends to grow thick thatch layers, and it is an extremely slow-growing grass. 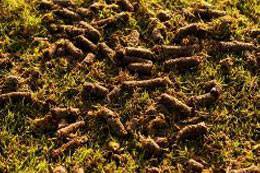 Thatch is the layer of dead stems, roots, and rhizomes that exists between the green, growing grass and the soil. No one likes to see weeds in their pristine zoysia grass seed lawn. Why do they occur, and how do you get rid of them? 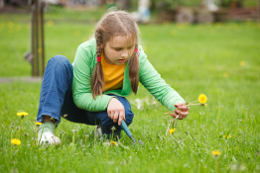 First, it’s important to realize that any plant can be classified as weed if it is unwelcome in a certain environment. Your idea of what a weed is could change over time.